Anyone having ivory & gold? ideas needed! I had a black and white theme and all our guests came in black and white. I had a gold wedding dress. If you want to see our pics then drop me a mail and I'll send you the link. 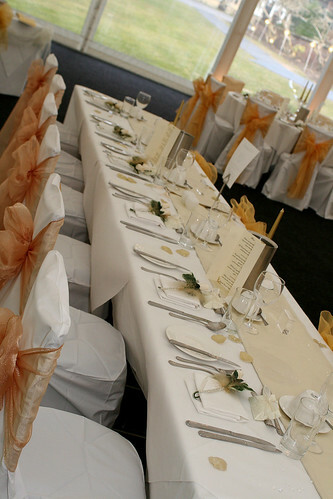 Our wedding in March '10 was Ivory, Gold and sparkles themed! 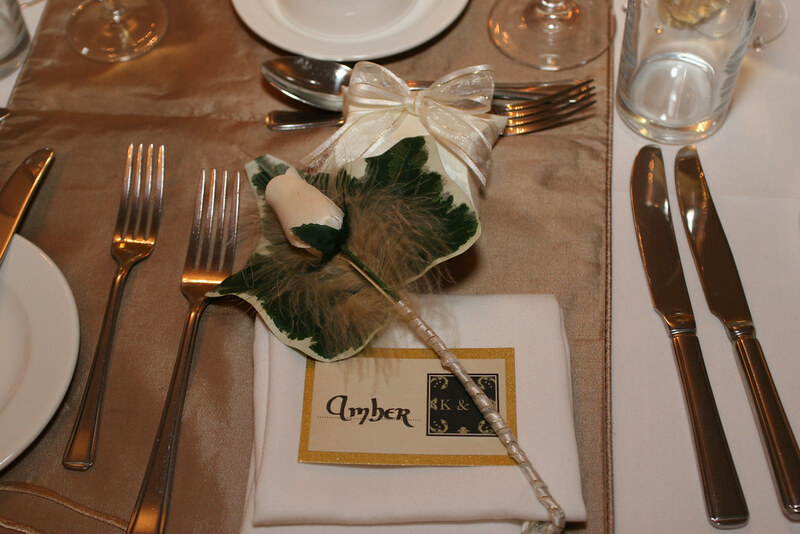 The favour boxes i used were ivory, but an embossed damask pattern which made them a bit more interesting, then tied with ivory and gold ribbon that i had used on all our invites and wrapped round some bay trees. Have included a photo or two, and the link to our pics, in case it helps with some ideas! 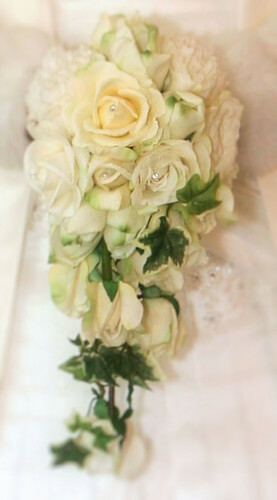 P.s these were my flowers.. ivory, cream and ivy with sparkle from crystals. Not boring at all IMHO! !